To celebrate The 73rd Independence Day of Indonesia, Universitas Dian Nuswantoro (UDINUS), Semarang, conducted various competitions. There were 13 competitions, 2 of them were futsal and dance competitions followed by the entire academic community and lecturers. The competitions were started in the early of August until August 16. UDINUS’ Rector, Prof. Dr. Ir. Edi Noersasongko, M.Kom mentioned that the competitions were to celebrate The 73rd Independence Day of Indonesia on August 17th. It was also to strengthen the bond between co-workers as well as improve the sportsmanship and the creativity of UDINUS’ employees. "UDINUS has more than 800 employees, so this event could be a platform for all of them to strengthen their bond and it can also help them in coordinating when there are certain problems or tasks in the future. The competitions are followed by lecturers, administration officers and also office boys," he mentioned. 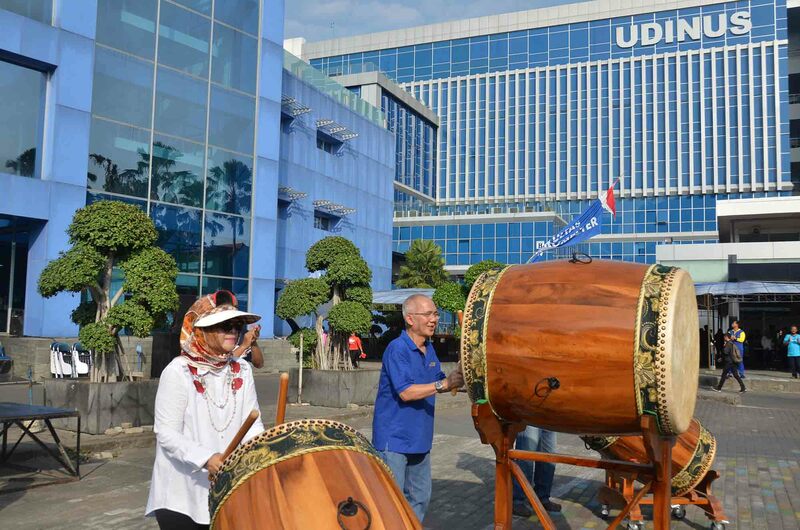 He added that in the future, the competitions would be conducted every month since it has a good long-term effects for the bond between UDINUS’ employees. "The prize is not really matter, what matter is the togetherness. We hope that in the future, the competitions can be done every month so that the bond between co-workers become stronger”, he added. The series of competitions were closed by a flag ceremony on August 17. The ceremony was to celebrate The 73rd Independence Day of Indonesia as well as to give the prize for the winner of the competitions.